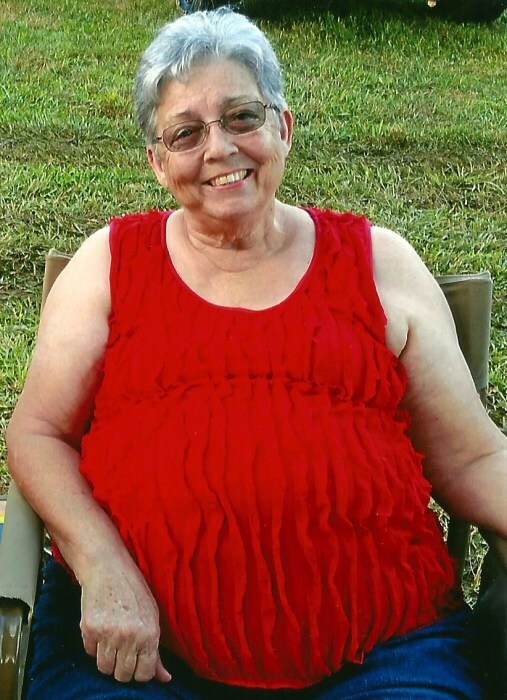 Faye Alford, 72, of Wendell, died Monday, October 8, after a long and courageous battle with cancer. She was a devoted wife and best friend for 53 ½ years to Glenn Alford, Sr. She was also an incredible mama to four boys and their wives, Glenn Jr. (Helen), Kenny (Lacy), Lynn (Gayle) and Ben (Toni); and grandma to nine grandchildren, Cheyenne, BJ, Madeline, Haley, Caroline, Samantha, Luke, Ashton, and Mallory; a sister to, Linda ( Charlie), Debbie (Ed), Dannie ( Janie); an aunt and a dear friend to countless others. Faye was retired from Wake County Public Schools where she supervised for many years in school lunchrooms. She was a Godly woman-kind, gentle, generous and selfless. She will be remembered most for how she demonstrated her love to her family and to everyone else who knew her. Each person that had the privilege of knowing her, loving her and being loved by her was better off for it and her legacy will live on through the lives of those that she touched. She is with her Heavenly Father now and those of us who are believers will SURELY see her again! She was preceded in death by her father, Lester Paul Medlin and mother, Mable Sanderford Young; brothers Normie and Paul Medlin. A Celebration of her life has been rescheduled for 2 pm Friday, October 12, at Central Baptist Church with burial to follow in the church cemetery. The family will receive friends prior to the service from 12:00 pm – 1:45 pm in the church fellowship hall and other times at the home. In lieu of flowers the family request contributions may be made to Central Baptist Church Youth Fund, 11109 Poole Road, Wendell, NC 27591. Arrangements by Strickland Funeral Home & Crematory, 103 W. Franklin St., Louisburg, NC.